One grand prize winner will receive the prize package, with four runners-up receiving a copy of the Blu-ray/DVD combo pack. For your chance to win, simply send an email to avcontests@theonion.com with the subject line “Straight Outta Compton.” Please be sure to include your full name and mailing address in the body of the email. U.S. entrants only. We’ll select our winners, at random, from our eligible entries on Friday, January 22. Winners will be emailed directly with further instructions for claiming their prize. The official plot synopsis and trailer for the film can be found below. 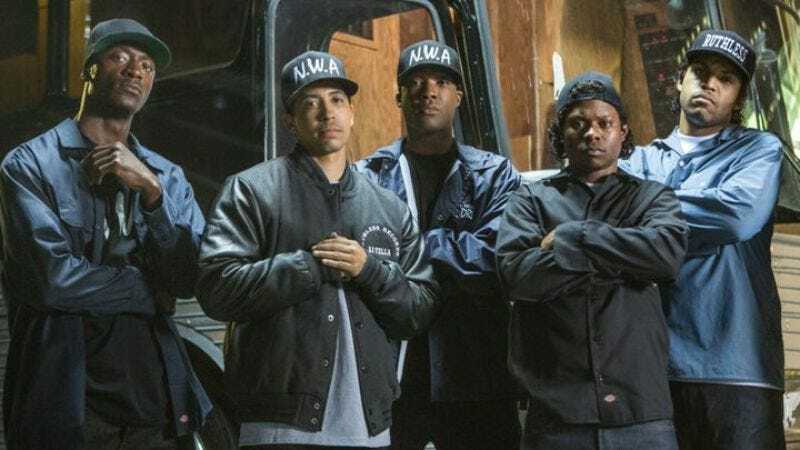 Straight Outta Compton tells the true story of how five young cultural rebels—armed only with their lyrics, swagger, bravado, and raw talent—stood up to the authorities that meant to keep them down and formed the world’s most dangerous group, N.W.A. And as they spoke the truth that no one had before and exposed life in the hood, their voice ignited a social revolution that is still reverberating today.